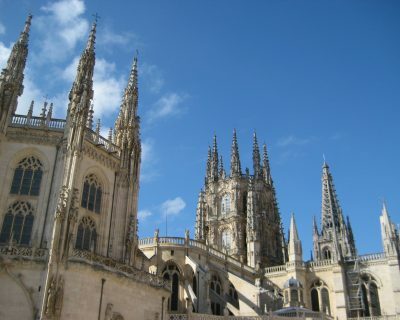 In the Middle Ages, the greatest Christian place of pilgrimage after Jerusalem and Rome was Santiago de Compostela. Here, early in the 9th century, King Alfonso II of Spain announced to the Pope that he had found the burial place of Saint James. Once, many thousands lost their lives making this perilous journey. Today, our journeys are by plane, coach and walking some of the most interesting segments of the route. Fly to Bilbao and join the Camino as it enters Spain near Pamplona or fly to Santiago and join the last 70 miles of The Way from Sarria. Each day we will walk part of the route and visit cathedrals, monasteries, wayside chapels and bridges which all sprang up along this ancient Way. We include a comprehensive programme of sightseeing and also fun touches such as a wine tasting in the Rioja and a traditional “Queimada” night out at the end of our journey in Santiago itself, where we fly home from. 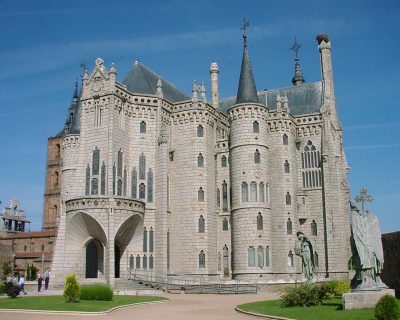 Follow the ancient pilgrim route through northern Spain for five hundred miles from Roncesvalles on the French border to Santiago. 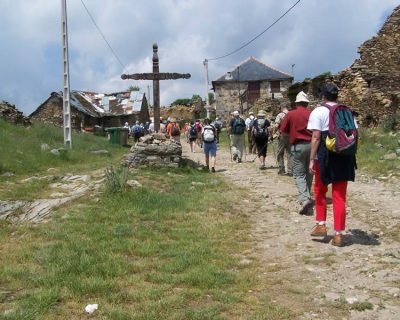 Our short 5 day programme takes pilgrims seventy miles from Sarria to Santiago. The final stretch of the Pilgrim Way.